You can configure a Chromebook to use the filter even when the device is off site. Now students can take home a Chromebook and still be filtered by your SecureSchool Appliance. First you must have the following setup and configured before you begin. Must have access to the proxy port (typically 8080) and port 81 from the outside. If SecureSchool is behind another firewall then the ports need to be forwarded. 9. Then select Device Settings. 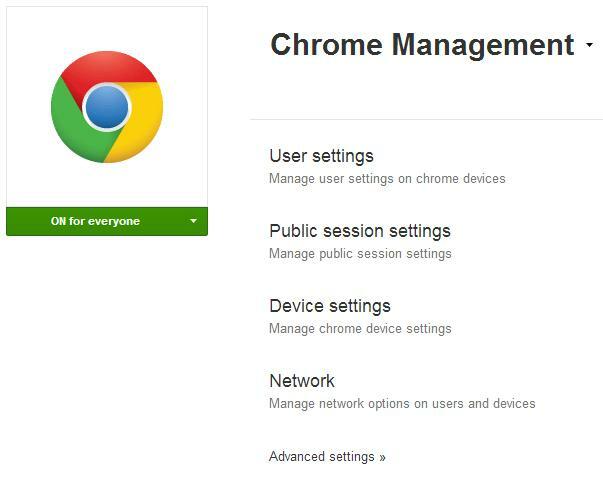 Controls whether to allow guest browsing on managed Chrome devices or not. If you select Allow guest mode (the default), the main sign-in screen offers the option for a user to sign in as a guest. If you select Do not allow guest mode, a user must sign in using a Google Account or Google Apps account. When a user signs in using guest mode, your organization's policies are not applied and they will not use the proxy server. 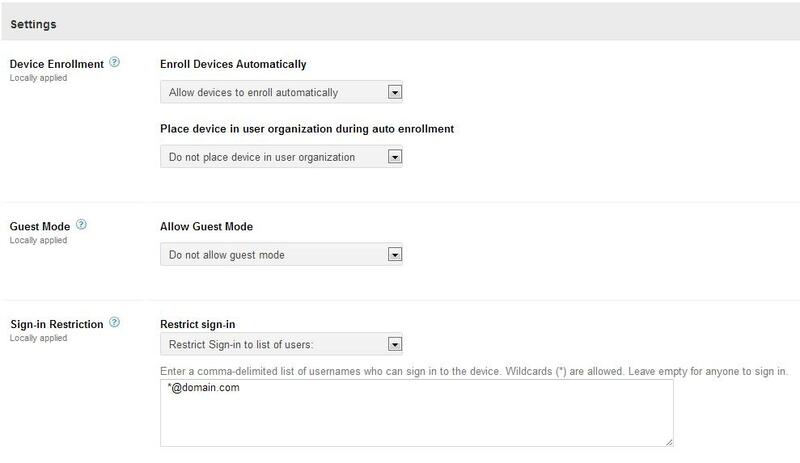 Default - Keeping the default "Restrict sign-in to list of users:" will only allow users that have a valid account in the specified domain to sign-in to the chromebook. Then your organization's policies will be applied and they will use the proxy server. 11. When you are done click on the "Save Settings" button on the bottom of the screen and the the back arrow by the Chrome Logo in the top left corner. 12. Then select User Settings. 14. When you are done click on the "Save Settings" button on the bottom of the screen and then you can log out of the Google Apps Admin Console. 17. Test - Open a website that should be blocked and you should see the "Access Denied" page for your school. Article has been viewed 15.1K times.